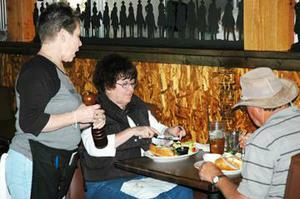 The Pinal County Health Department inspected 12 Maricopa eateries in April, handing out citations to six. The six restaurants receiving citations were Dairy Queen, Teakwoods Tavern and Grill, The Silver Spur at the Duke at Rancho El Dorado, Papago Cantina, Ak-Chin Southern Dunes Golf Course Grille 109 and Say Sushi. For the violations all the cited restaurants received scores of satisfactory. 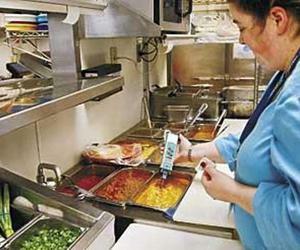 Health inspectors conduct random inspections aimed at ensuring all proper steps are taken to maintain consumer safety, Pinal County officials said. The department can issue violations that are either critical or non-critical. Critical violations must be fixed within 10 days and affect a location's score. Non-critical violations must be fixed within 90 days. Grades are based on the number of violations, with an "E" for excellent being the highest possible score. Other scores are "S" for satisfactory, "U" for unacceptable and "N" for needs improvement. Restaurants receiving perfect scores were Penascos Mexican Grill, Little Caesars, Jack in the Box, Yogurt Jungle and Great Wall. A call Bristol Palin made to Anchorage station KWHL’s “The Bob & Mark Show” on Friday revealed some details about her Maricopa home purchase and personal life. Radio announcers Bob and Mark asked Palin about rumors that she changed her son Tripp’s last name from Johnston to Palin. Palin said she had spoken with her former fiancé Levi Johnston about the possibility of making the change and asked him to sign over his custody rights, a request he refused. Looking ahead, Palin told the on-air personalities, “I’m working on a few different projects,” adding that she is pursuing a job with Phoenix radio station 96.9. The Mix job was formally extended over the air by the channel’s morning disc jockey, Matthew Blades. If Palin were to accept, she would work alongside the morning show talk host. “I think that Bristol’s outlook on life is probably different from mine, and that contrast could be interesting to listen to,” Blades said. The Maricopa City Council unanimously approved a $2.15 million deal with Abacus Project Management Inc. at Tuesday night’s council meeting to accelerate construction of a city hall complex, a regional park and a multigenerational/recreational center. “Council challenged us to find a way to design and build three facilities in a three-year period and this deal will help make that possible,” said Maricopa Development Services Director Brent Billingsley. Abacus was originally hired Sept. 7, 2010 for $521,207 to complete the design standards manual for five city projects: city hall complex, regional sports complex, aquatics/multigenerational center, main library and public works yard. The contract approved on Tuesday night amends the original contract, adding additional work in the form of task orders. The funds to expand the contract come from a combination of bond monies and development impact fees. “Our citizens need these projects, and we need to accelerate these processes as fast as possible,” said Councilmember Edward Farrell. The first task order, for the city hall complex, is divided into two phases leading to the completion of a design standards manual, site plan and building design. “We’ll begin the design process in January and the city should be ready to break ground on its new city hall complex by November 2011,” said Abacus Senior Project Manager Adam Brill. The complex will be located on a 145-acre parcel near White and Parker and Bowlin Roads. The city council will have to select a construction firm and approve design plans before starting construction. Councilmember Alan Marchione expressed concern during the meeting that the construction of the facility could increase the city’s operating budget. However, City Manager Kevin Evans said because of the operational and utility inefficiencies of the current council complex he thought the cost to operate a new facility would not cost the city additional monies. In terms of construction cost, the city plans to spend about $17 million of general government development impact fees to construct the complex. Development impact fees are monies the city collects for the construction of homes and commercial buildings. These monies are earmarked for specific purposes, such as the construction of government complexes and have no impact on the city’s general fund. The second task order will result in the production of site master plans and engineering plans for a regional park and a multigenerational/aquatics center. These two plans will identify the location of building pads, pedestrian walkways, parking and other features for the two projects on a 143-acre parcel near the intersection of John Wayne Parkway and Bowlin Road. Brill predicted that, if council continues to move at the current pace, the regional park could be completed by December 2012 and the multigenerational/aquatics center by October of 2013. Farrell added that the community said they wanted these projects when they approved the $65 million Parks, Recreation and Library bond package two years ago. 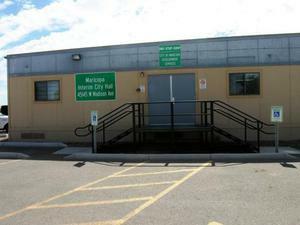 To date the city has released $20 million of the package to begin projects. While Evans said he felt there would be no additional operating expense from the construction of a city hall complex, he said the parks and recreation projects could create additional budget expenditures. 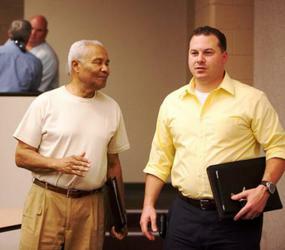 “There is no way you can staff a recreation center with the staff you have now,” he said. However, the city manager added there are ways council can get creative in terms of contracting with non-profit agencies like the Boys and Girls Club or the YMCA to operate the recreation center. Overly rosy revenue projections for the current fiscal year may result in budget cuts as the city of Maricopa grapples with a first-quarter shortfall. The city budget for the current fiscal year, which runs from July 1, 2010 to June 30, 2011, predicted an $8 million increase in general fund revenues from the previous fiscal year, from about $17 million to $25 million. However, data obtained by InMaricopa detailing the first three months of sales tax revenue, construction permit revenue and state shared revenues, shows substantial year-over-year decreases in all three areas. If these trends hold for the remainder of the fiscal year, it would result in a general fund budget shortfall of roughly $5.4 million. While a $5.4 million shortfall would be shocking, the decline in revenue could be even more dramatic since the figure was derived from analyzing only three of the city’s 12 revenue streams. Other areas were not analyzed due to a lack of information. The largest revenue stream not analyzed was property tax collections. Last fiscal year, the city budgeted for $9.4 million in general property tax revenue, but actually collected $5.67 million. This budget for this fiscal year is based on $11.2 million in property tax collections. The city council has maneuverability in dealing with shortages in the general fund due to a $30 million reserve that was put aside before the current economic downturn. However, state law mandates that cities determine how much of this money they are willing to use in a given fiscal year at the beginning of budget process. This year, Maricopa City Council members voted to use as much as $5 million of the “rainy day” fund for possible budget shortfalls, including approximately $2.5 million allocated to meet general fund obligations. If the general fund shortfall is greater than $2.5 million, spending cuts will likely be made. In terms of potential cuts Councilman Diedrich said it is difficult to cut the general fund without touching people or programs. This difficulty arises because the majority of money in the general budget goes to pay for salaries. Councilman Alan Marchione said he wasn’t opposed to cutting city employee salaries and benefit packages, and that starting with the next budget cycle he would like to see cautious revenue predictions. The city of Maricopa declined to comment on potential budget shortfalls for this story, but a presentation on the budget by city staff is scheduled for the Nov. 16 city council meeting. Look for an in-depth analysis of the city’s budget woes in the next edition of InMaricopa News. Attentiveness by a Pinal County Sheriff’s deputy turned into the discovery of 160 pounds of marijuana early Tuesday morning. While patrolling an area 20 miles south of Maricopa, the deputy noticed a white cloth tied to a bush near interstate 8 and mile marker 157. 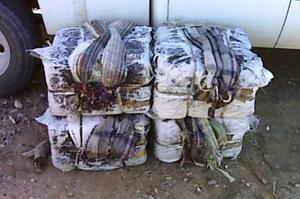 Sheriff’s department spokesman Tim Gaffney said the deputy recognized the cloth as a marker drug smugglers commonly use to alert pick-up vehicles, so he left his vehicle to investigate. The deputy’s suspicions were confirmed when he found four large bundles of marijuana and fresh footprints in the roadside brush. While climbing out of the ditch where the marijuana was located, the deputy noticed two Hispanic males in the distance and called for back up, according to Gaffney. The deputy then began to track the two suspects, eventually capturing one, who admitted to being in the country illegally, but said he had no knowledge of the marijuana. The suspect was handed over to U.S. Border Patrol. according to Jeff Turner, manager of Abacus Project Management, Inc. The city council approved hiring Abacus, a full-service construction management-consulting firm with offices in Arizona and California, on Sept. 7 for $521,207 to complete the design standards manual for five city projects: aquatics/multigenerational center, city hall complex, regional sports complex, main library and public works yard. During the next six months the firm and city will gather documentation, collect public input and meet with stakeholders to design the comprehensive document that will outlay maintenance, security and equipment standards, in addition to proposing locations, identifying construction methods and prioritizing the projects. “The city can’t build all of these projects at once, so we need a document in place that creates consistency in design across all facilities,” said Maricopa Development Services Director Brent Billingsley. When asked why Abacus decided to bid for the job, Senior Project Manager Adam Brill referenced Maricopa’s potential for growth. “We’re excited about Maricopa and want to be part of the development of the city,” Brill said. The document will go before the city council several times before its completion. Billingsley said he hopes council will clearly prioritize the projects, though some precedent on those projects is already established. In March, the city council approved selling a $20 million portion of its $65 million voter-approved parks, recreation and library bond package. The regional sports complex is estimated to cost $20 million and include baseball, soccer and football fields, while the aquatic center would be at least 50,000 square feet and cost $16.5 million. a capital improvement plan outlining when construction of projects will take place. That plan has construction on the aquatics center scheduled to begin before the current fiscal year ends in June 2011, the regional sports complex in fiscal year 2011-12, and the city government complex in 2012-13. A second park, main library and public works yard are scheduled for construction between 2016 and 2030. The funding for all five projects will come from revenues already collected through development impact fees (DIF), bond money or future revenues collected from forecasted DIFs. The city owns two large parcels of land suitable for building, a 145-acre parcel near White and Parker and Bowlin Roads and a 143-acre parcel near the intersection of John Wayne Parkway and Bowlin Road. The 143-acre parcel was approved for purchase by council last month and features a half mile of frontage along John Wayne Parkway, which Maricopa Mayor Anthony Smith said was valuable for future use. “This is an important location and a possible anchor to help the city spur development south of the tracks,” Smith said. The 145-acre parcel was approved for purchase in December 2008 for $3 million. The money came from the city’s general fund. The standards document could speed up the construction process by presenting future architects and construction companies with a clear vision of what the city wants in its projects. Instead of establishing a separate set of standards for each facility, these guidelines will govern all five city projects, Billingsley said. The Council also hopes to establish uniform construction methods with the document, either design/build or design/bid/build. Gensler, a global architecture, design, planning and consulting firm with 30 offices, is helping make initial design decisions and may perform some of projected work. Gensler and the engineering firms of Henderson and Wood-Patel are part of the Abacus team and will work with city staff over next six months out of temporary offices in city hall. Gensler’s portfolio of projects includes the new centerpiece hotel tower at L.A. LIVE in downtown Los Angeles, the CityCenter Automated People Mover in Las Vegas and the renovation of George Washington Stadium in Washington, D.C.
Diedrich said he hopes the completed document will help unify the community’s vision of its future. While thousands of Maricopans helped select two new members of the Maricopa Unified School District Governing Board this past week, a single person will be responsible for selecting a third member sometime in the next two months. Pinal County Superintendent of Schools Orlenda Roberts began accepting applications for the open slot on the board yesterday. She said she hopes to pick someone by year’s end to fill the vacancy created in October by the resignation of then board member Lori Glenn. “I hope we are able to sit the new board member at the first meeting in January, the same time the two newly-elected members take their seats,” Roberts said. Roberts added she would accept applications for the empty seat until Dec. 3. Once all the applications are turned in, she will review them, conduct interviews, perform background checks and select a candidate. The successful candidate will fulfill the remaining two years of Glenn’s term. Although the application process has just begun, applicants are already lining up. 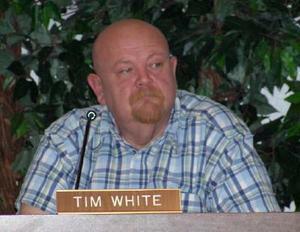 Tim White, who has served on the board for eight years but lost his recent re-election bid, said he would be applying for the vacated seat. While White said he feels he is most qualified, a second candidate, Jannifer McGhee, said she feels she is the one most able to make needed changes in the district. McGhee, who ran and lost in the recent election, said she would be submitting an application for the position. The Maricopa resident of two years has been a foster parent since the 1970s and an avid community volunteer. The Maricopa Police Department is investigating a break-in that occurred at Maricopa High School early this morning. School officials are saying a suspect or suspects gained entrance into the 200 building on the Maricopa High School campus at approximately 2:20 a.m. Several administrative assistants’ desks were damaged. “We are not sure yet what, if anything, is missing,” said Tom Beckett, district spokesperson. MPD and school officials are assessing property damage and loss. Maricopa United School District recently installed several surveillance cameras throughout the high school campus, and police are looking at those tapes in an attempt to find clues. The Maricopa Unified School District is raising a red flag…in addition to green, yellow, orange and other colored flags, all in the name of air quality. The district has entered into a program through the Arizona Department Environmental Quality Division in which different colored flags are raised each day to designate the quality of the air. “The school flag program is a simple way to alert school officials and students to the day’s air-quality conditions so that when the air is bad, preventive measures can be taken,” said Marilyn Wyant, the district’s director of health services. 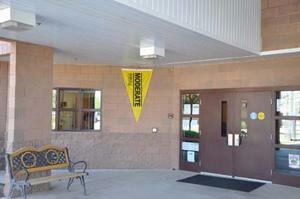 These flags, which were provided free to the district, are typically placed at the front entrance of the school to not only alert students to the day’s air quality, but other members of the community. “Everyone needs to be aware of the air quality,” Wyant said. To educate school officials about air quality, Pinal County Department of Environmental Quality sent out their air-quality expert, Scott DiBiase. “He was great. We learned a lot about air quality and he sends us updates on air quality every morning so we know what flag to fly,” Wyant said. The five color-coded flags and their designation are: GREEN-good air quality; YELLOW-moderate air quality; ORANGE-unhealthy for sensitive people; RED-unhealthy; and PURPLE-very unhealthy. For more information on air quality, visit www.airnow.gov. Amid rumblings from upset parents about the safety of their children, the city of Maricopa unveiled a plan to address the safety concerns of students having to cross busy streets to get to either Butterfield or Saddleback Elementary schools. The concern of parents with children at Butterfield was that there was no designated area for children to cross Honeycutt Road. To address this concern the city has purchased a temporary traffic signal, which will be placed at the intersection of Honeycutt Road and Maricopa Groves Parkway. Assistant to the city manager Paul Jepson said the signal cost the city $180,000 and should arrive within a couple of weeks. “Once we get the signal, we must test it out and paint the crossing lines on the street; the project should be completed within a month’s timespan,” Jepson said. Once the light is in place, the school district has agreed to provide a crossing guard to help students cross the street. “It is awesome we are getting a light,” said Heather Smith, a parent who has children in the school. Besides the temporary light at the Honeycutt Road crossing, a four-way stop is being installed for Saddleback Elementary School. A crossing guard will also be on hand at this school to help children cross the road. Until these projects are completed, the district and the city are encouraging children to use the bus service. “The safety of Maricopa’s youth is paramount,” said Maricopa Mayor Anthony Smith in a statement issued to the press. 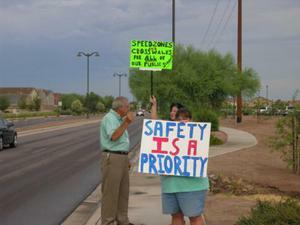 Parents and community members gathered to show their concern for children’s safety this morning, holding signs protesting the lack of safety measures present at the intersection of Honeycutt Road and Maricopa Groves Parkway. Currently, there is no cross walk, crossing guard or stop light to help navigate children across the four-lane arterial road on their way to and from Butterfield Elementary School. However, the city of Maricopa has responded to the issue saying that they have ordered a temporary stop light, but that it won’t be operational for at least 30 days. That is not soon enough for the concerned parents. Lindseth was not only acting as a protestor this morning, but she was helping kids cross the busy intersection. “I’ve been out here for 30 minutes and in that time I have helped about 15 children across the intersection,” Lindseth said. The school district has recommended that children do not cross the intersection, but instead take a bus across the road. Parents don’t agree with this solution either. “It is a further walk to the bus stop than to the school, and these buses are often late,” Waggner said. Lindseth added that if kids take the bus they won’t get to school early enough to eat breakfast. The protestors stated that they believe the reason that there are no safety precautions in place is because of a lack of foresight by the school district and the city. “How could you not see this problem coming,” Waggner asked rhetorically. Community members and parents were not the only ones observing the hectic scene this morning. Maricopa Councilman Carl Diedrich was there to take in the potential hazards of the situation. “I have seen kids crossing in areas other than the intersection. I have seen cars going faster than the speed limit. There is no control here,” Diedrich said. Diedrich said he plans on taking what he observed back to the mayor, but that it may be difficult to get something done quickly because of the slow pace of government. In an effort to raise awareness about The Leukemia and Lymphoma Society, Maricopa resident Christian James is aiming to run a half marathon in Maui, Hawaii, on Sept. 16. However, before James can go to Maui to participate in the marathon, he must first raise $5,300. “I give the money to the people in charge, and they provide the plane ticket, room and lodging and all other amenities,” James said. “I am really close to my total,” James added. In an effort to raise this money, there have been a series of fundraisers over the past several months. The latest will be at Teakwoods, 21141 N. John Wayne Parkway; the restaurant will be donating 10 percent of all sales Wednesday from 3 p.m. to close. In addition to sales there will also be a silent auction. James decided to compete in the marathon to honor his mother who passed away last year. However, he experienced another tragedy earlier this week when he lost his father, who co-owned Fahrenheit Tanning with James. In a statement James thanked all who have supported him in his cause and confirmed that he will fulfill his commitment to participate in the event next month. All proceeds raised through the marathon will go to benefit The Leukemia and Lymphoma Society. Those who wish to make a donation to James can visit www.teamintraining.org/dm/maui08/cjames. 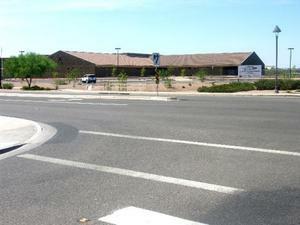 In 2003 the Maricopa real estate market was a hot commodity. Houses were being built and sold in record numbers. However, fast-forward to 2008. Maricopa is still leading the pack, but it is leading in the wrong categories: foreclosure rates and drops in home values. “Thud” is the sound many residents of Maricopa are waiting to hear. Prices in the Arizona real estate market have been continuously falling for more than a year with Pinal County feeling the largest decline. A year ago homes in Pinal County sold for roughly 78 percent of the price of a home located in Maricopa County. Today that number is down to 70 percent, according to a report released by Realty Studies. “When the housing boom started, gas was affordable, and many people felt they could commute to work from the outlying communities. That led to a lot of growth in areas such as Maricopa, but now with the cost of gas so high that a commute isn’t as attractive, sellers are having to lower prices to get people into those communities,” Butler said. Maricopa real estate agent Deborah Farhat thinks the reason for the fall in prices is the simple equation of supply and demand. “The number of buyers in the area decreased, but the number of homes increased, so to attract people back to the market the prices had to fall,” Farhat added. Further investigation of the data shows that Maricopans have felt this drop in home prices more than any other community in Pinal County. The median price of a home sold on the market a mere 18 months ago was $246,000; today that price is down to $161,000, according to numbers compiled using the MLS. “Ouch,” Farhat said, in regard to the idea of losing a little over $80,000 in the median home price. One factor driving the dip in median home prices in the area is the number of foreclosures. “Foreclosed homes tend to be lower priced than standard resale properties or new home constructions,” Butler said. Pinal County has the highest foreclosure rate in the state at nearly 1.6 percent, and, of the cities in the county, Maricopa has had the most homes go into foreclosure since the beginning of the year, according to numbers published by realtytrac.com, a Web company that analyzes national foreclosure numbers. One reason for the high number of foreclosures is that in 2003 to 2005 the loan requirements were loose, and many people were able to get into homes they could not afford, according to Farhat. Paul Jepson, assistant to the Maricopa city manager, concurs that many people were in a rush to get a house in the area and got into unconventional loans such as the adjustable rate mortgage. “They saw the home prices continually rising and thought they needed to buy before prices got any higher,” Jepson said. To get into these homes while the market was hot, people used 80/20 loans or even adjustable rate loans; now that their payments have increased, they can’t afford the home any longer, Farhat added. Besides the first time homebuyers, investors and many people looking for a second home saw the city of Maricopa as a prime opportunity. “If you look at the data, about 25 percent of homes in foreclosure in the area are investment properties or second homes. These people bought these homes hoping to turn a profit, and that didn’t happen,” Jepson said. One effect the number of foreclosures is having on the local market relates to the construction and sales of new homes. In the first quarter of last year there were 655 permits issued for the construction of new homes. In the first quarter of this year there were only 320, according to RL Brown Reports, a Valley-based company that provides information on the new home market. In addition to the decrease in number of homes built, there were 134 fewer new homes sold in the first quarter this year as opposed to last year. “A year ago the number of foreclosures was lower, and a new home was a more attractive option to buyers, but today that trend has been reversed,” Farhat said. Despite the grim state of the real estate market, the city is continuing to grow and rebound trends are starting to appear. One sign of this continued growth is evident from enrollment records and the construction of new schools in the city. The number of high school students enrolled has increased by an average of 46 students a month. At the start of this school year there will be four new schools opening, according to Jepson. Another promising factor for the city is the recent increase in home sales. Since January the number of homes sold has continually risen. “Not only have we seen an increase in the number of homes sold, we are starting to receive multiple offers on homes,” Farhat said. “It is the first time in a long time we have gotten multiple offers on homes,” Farhat added. Farhat believes that the sales increase is directly related to the price decrease and, as sales continue to rise, the prices will stabilize. “The buyers are starting to come back,” Farhat noted. “When people see the prices of homes in Maricopa and that the activity is starting up again, the feeding frenzy will be renewed,” Jepson said. One thing that will help this renewed market stay strong is that lenders and borrowers are staying away from adjustable rate loans. “We haven’t seen any adjustable rate mortgages this year and lenders are being more responsible with loans,” Farhat said. Another aspect that could lead to fewer foreclosures in the future is that fewer investors are buying. “The majority of homes we are selling are to first-time home buyers,” Farhat said. Farhat believes the city will continue to see a steady number of foreclosures for the next couple years, but after that they will slowly dwindle. “When the foreclosures start coming off the market, it will increase the need for new construction,” Farhat said. Besides the increases in population and home sales, another encouraging sign is that homes are still being built. “If you look at Casa Grande, they are having about 25 homes built a month; we are up around the 100 mark constantly,” Jepson said.